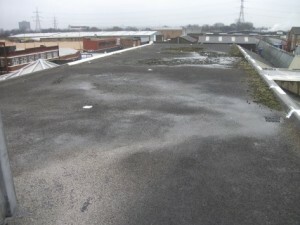 All flat roofs can present problems from time to time with a degree of ponding only natural on a roof with little fall. 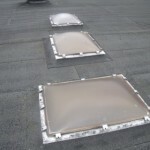 Any defects are therefore quickly highlighted and can begin to allow rainwater ingression?s. 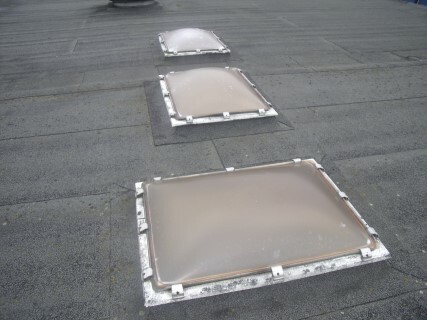 Thermal imaging test equipment allows us to accurately pin point a roofs defects by picking up on differentiating roof temperatures. 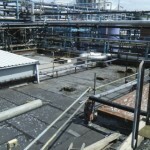 Any located leak test can then be repaired successfully and cost effectively with localised patch repairs. 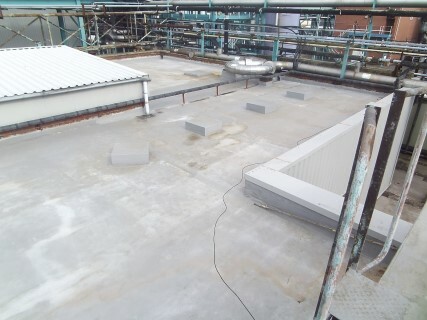 We can offer full removal of old systems and installation of new built up felt systems up to 5 layer high performance mineral felt systems. 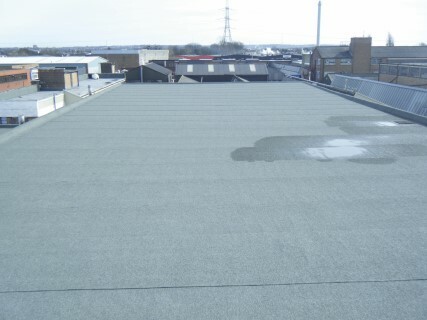 As a cheaper short term cost effective solution simple one layer felt overlays leaving the underlying roof in situ can also be quoted where practical and possible. 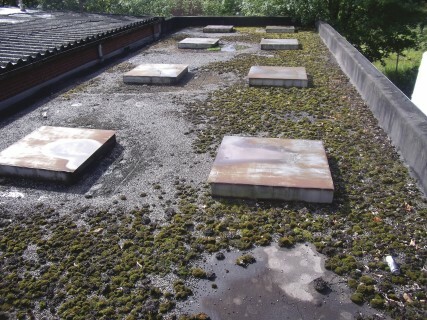 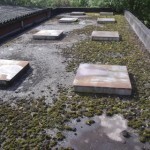 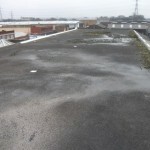 The exact specification will depend upon two main restraints-clients existing roof condition and budget. 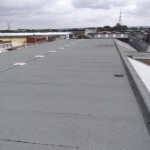 Guarantees ranging from 10 years upwards are offered according to the exact system used and existing roofs underlying condition. 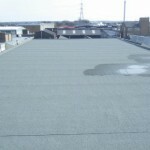 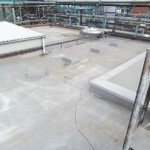 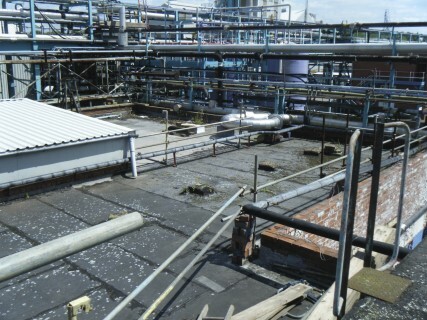 STORM Industrial Roofing Ltd offer a number of tried and tested liquid applied systems from Kemperol or Giromax. 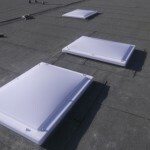 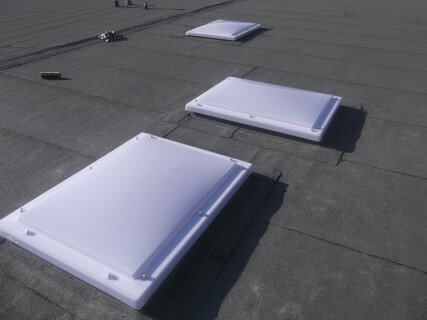 These systems are perfect for roofs with large numbers of details such as flue and stench pipes, fans or ventilation units which are difficult to seal with a lapped, relatively inflexible felt system. 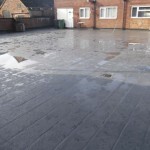 The systems are cold applied so no hot works permit is required. 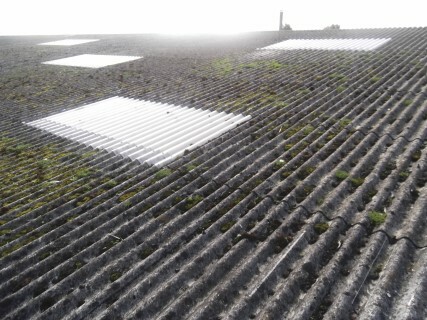 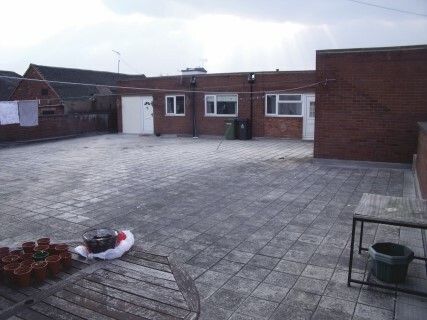 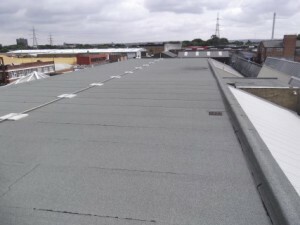 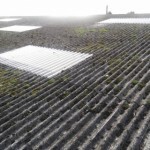 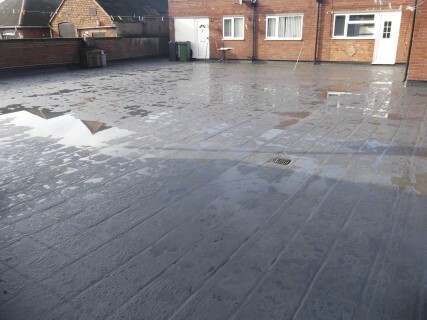 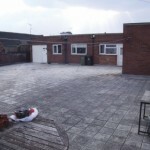 Please get in touch with any query or enquiry you may have regarding your flat roof.